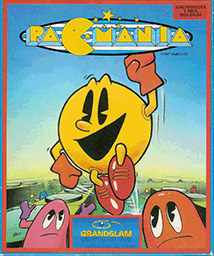 PAC-MAN IS BACK AND BOUNCING IN 3-D! 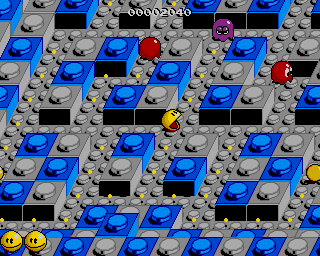 Armed with unique BOUNCE power, Pac-Man faces new challenges as he enters the 3-D worlds of Block Town, Pac-Man's Park, Sandbox Land and Jungly Steps. With the help of 4 power pills, Pac-Man is ready to outwit and avoid those persistent pesky ghosts Inky, Pinky, Blinky, Clyde, Sue and Funky. I cannot get this working on RISC OS 3.7 or 4.39 (or 6.20...but that's academic). Reports that it cannot find 'GOARM3JIT'. Can you confirm which processor you have and that the machine isn't a Kinetic. It's a StrongARM configured RPCemu. geraldholdsworth wrote: It's a StrongARM configured RPCemu. 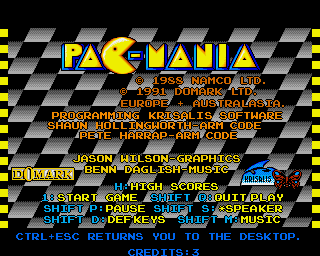 If you want to run under emulation, I'd advice using an Archimedes emulator such as ArcEM or Red Squirrel.